Not a single day seems to pass without the war which the AKP government has launched against the Kurdish people in its drive to further entrench its hold on power acquiring new dimensions. 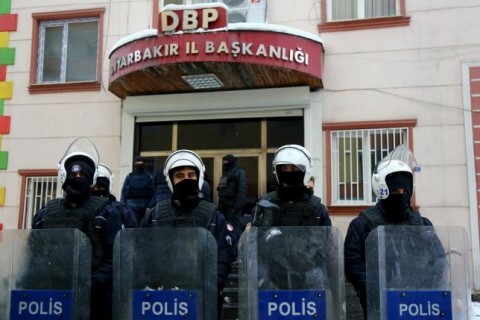 Democratic Regions Party (DBP) Şırnak Provincial Executive Mr. Hurşit Güler has been forcibly disappeared after being taken into police custody on 27 May, 2016, exposing the ever more malicious dimensions this dirty war is liable to take. Lawyers of Şırnak Human Rights Association have filed an application to the Working Group on Enforced or Involuntary Disappearances (WGEID) of the Office of the United Nations High Commissioner for Human Rights (OHCHR) on the basis of the International Convention for the Protection of All Persons from Enforced Disappearance (ICPPED). The Office has acknowledged receipt of the application and has been in communication with the lawyer. Anxiety over Mr Külter’s life keeps increasing over the last six days with no information whatsoever about his whereabouts. This situation reminds us of the dirty political structure of the 90’s when civilians were detained and summarily executed by state forces. The inability to receive information about Mr. Külter’s condition from official sources in spite of all attempts further exacerbates the graveness of the situation. The AKP government and its security forces have made inhuman and extralegal practices such as summary execution and enforced disappearance in custody part and parcel of their war machine. We invite all democratic forces and international institutions world over with basic respect for human rights to display sensitivity on the enforcement of such lawlessness in Kurdish cities. We believe urgent reactions expressing this sensitivity is crucial for the prevention of all anti-democratic practices.